If you are one of those readers who feels compelled to rush straight to the Vatican star map link at the bottom of the page, stop for a moment. 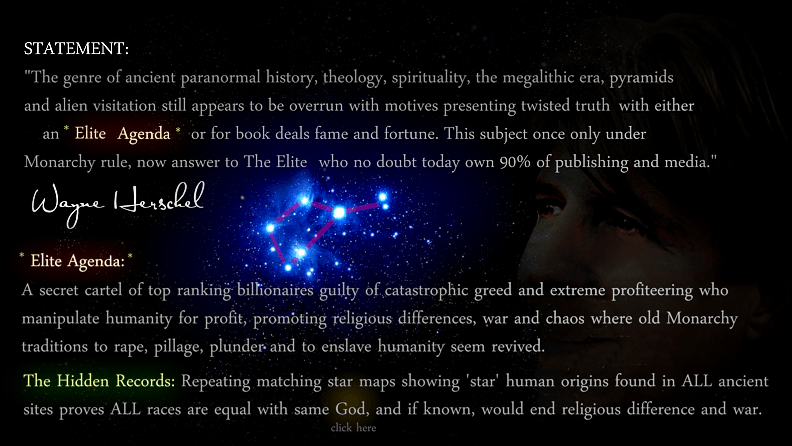 There is some very critical reasoning leading up to the star map that you need to be aware of. It is important to state right now that what you are about to read might all be a coincidence and with the greatest of respect to the Catholic church many will treat it as so, but if it is not, then the time has come to re-evaluate who we are and where we come from. For the 3 clues to 'The Lost Symbol' plot seen in the movie 'Angels and Demons', click the banner above. Who would imagine that the key to unlocking the great Vatican mystery might be the actual key you see here. Many are going to wonder how on earth it has been missed. You read Dan Brown's books and watched the movie. No doubt you have questioned how much is real and what the secret symbols are all about? Critics have gone to great lengths to mock Dan Brown for writing about secret codes, symbols and forbidden knowledge, yet there are few who have commended his fantastic research in 'Angels and Demons'. You may be one of those individuals, who have walked around Vatican City overwhelmed by the symbolism that is rife and almost intoxicating. Why would this religion have so much secret symbolism and then keep its meaning locked away in a secret vault? Why not share the meaning of its symbols with the world if they are 'God given'? There must be something the Vatican and its linked societies do not want the world to know and it must be so important that if it were exposed it will change the world. I am a researcher of such mysterious codes and ancient mysticism. 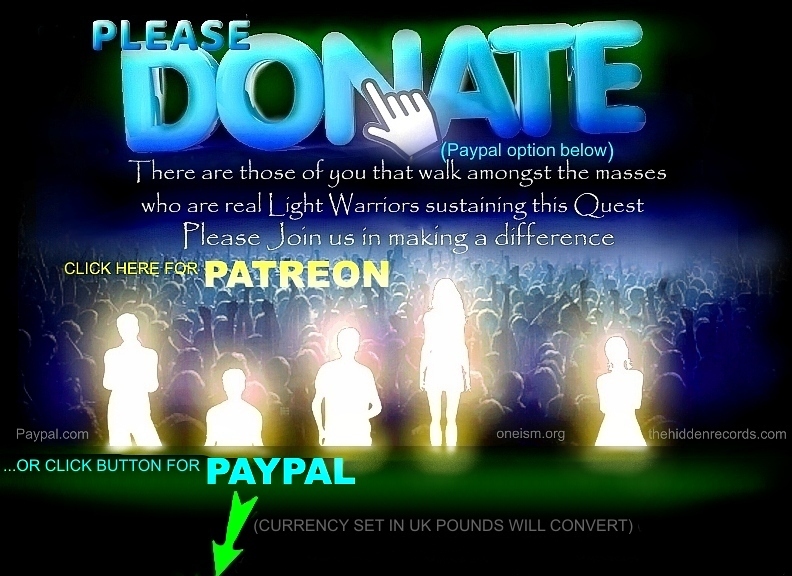 As seen on this website I present ancient forgotten cosmology hidden from historic record, which I believe was previously forbidden to society. You are about to see a whole new interpretation of the four most important clues outlined in 'Angels and Demons'. It is an interpretation that is measurable and easy to follow once you have deciphered the fundamental meanings of the symbols. The story that follows has been dramatised for better reading. The journey begins in Rome in Italy. There are four real Egyptian obelisks removed from Egypt that were rumoured to have been carefully placed in Rome that are part of a forbidden secret. 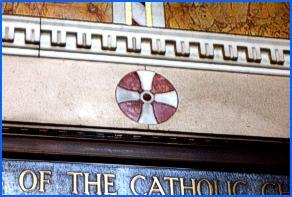 Was this instigated by the Templars or was it the Roman Catholic Church? The first day of the trip at Vatican City was chaotic. The massive crowds were overwhelming. Making sense of the array of symbolism proved more difficult than had been anticipated. However I had a hunch that the secret lay in the Egyptian obelisks that had become so integral to my research on a repeating global pattern of ancient pyramid star maps. The most famous obelisk stands in the middle of the St Peter's Square, the great Piazza in front of the Basilica. It was impossible to make sense of the obelisk with so much going around me so the time there was spent in photographing interesting statues and paintings and symbols. I would have to return to this obelisk first thing the next morning in a hope there might be less people and rather move on to the next obelisk. I embarked on my own 'Angels and Demons' tour of the Egyptian obelisk locations, and had my taxi take me to the Porto Del Popolo. To my astonishment I would find exactly what I was hoping for. In front of the obelisk above the archway of the Porto Del Popolo was a carving of what appeared to be the Seven Hills of Rome rising up to a star. The seventh hill is right in the front and difficult to see. The first star that comes to mind in the Christ story is the star of Bethlehem associated with the birth of Christ. I had my own thoughts about the Seven Hills and the star. In ancient civilisations the obsession seemed focused on the importance of the ground mimicking the sky. I was wondering if the location of Rome was selected because the hills might have a pattern similarity to the pattern of the seven stars of the Pleiades. This would be valid if the seven hills were large enough to be seen. They were however too inconspicuous, and according to historians over time excavated in many ways being farmed over, then built over. I confirmed this with my searches on Google Earth months earlier. Even with an enhanced relief setting the original hills were now barely identifiable. The biggest clue here was the focus on one very important star. Was it the famous Bethlehem star or was it a particular star that I found important in other civilisations. It was at the Piazza Della Rotunda and the next clue was not as easy to find. What was quite extraordinary about this site is that its design looked like a miniature version of the Vatican. I noticed the name 'Agrippa' on the front of the Pantheon. It reminded me of Heinrich Agrippa, the historical contemporary of Leonardo Da Vinci, whose Vitruvian man he also replicated. Ref - click here. This would however have been highly unlikely as this building predates the Agrippa I was thinking of. In many ways the Rotunda building was like the Basilica and had similar floor patterns to it. I was heading for the exit through the Pantheon, something caught my eye. The Orion three stars in a row were also secretly and mysteriously included n a recent National Geographic documentary on the Judas Gospel, where Christ points to Orion and tells Judas to follow to the star that is also his star. Ref - Click here. By now I felt the urge to press on and get to the last Egyptian obelisk location. I arrived at the Fountain of the Four Rivers. It was also here that the fourth obelisk was located in Dan Brown's story. The location comprised an imposing waterfall with rock feature. The obelisk was positioned on the great rock. Was this celebrating a foundation of Rome on the great rock so to speak? The only clue here that Brown had recognised was the dove with a twig in its mouth perched on top the obelisk. I imagined the dove in the Noah's Ark story which also had a kind of Genesis theme too. But I could not help thinking of the bird-headed gods of all the beginnings of ancient civilisations, as well as the bird that looked exactly like this dove in the Lascaux cave in France. The Lascaux cave had a genesis star map theme and I realised that this dove might not be such a coincidence. Ref - Click here. In the 'Angels and Demons' story Dan Brown mentioned that the dove was facing west. It was looking towards the great fortress, the Castel Sant' Angelo, and what many believe are the rumoured secret archives of both the Freemasons and the Vatican. The day had yielded some truly promising possibilities, but exhaustion was taking its toll. When I returned to my hotel, little was I to know that the following day would yield an even bigger treasure trove. I still had not cracked the clue at the first obelisk so it needed revisiting if I had any chance of cracking the code. Early the next day I decided I had to take another look at the great fortress and get back to the Obelisk at the Vatican. I was in luck. The crowds of the previous day were only distant memory. The elements - a cold and slightly wet day seemed to reduce the amount of people visiting the sacred city. The imposing St Peter's Piazza looked majestic and I could not help visualising in my mind the positions of all four obelisks. The journey had progressed very methodically the previous day ending at the Castel Sant' Angelo. I could clearly see its roof beyond the direction of the obelisk. Could this alignment be important? At a glance it looked unimportant and certainly nothing seemed obvious in a way that had been the case with my earlier pyramid star map theories. I looked in the opposite direction back at the Basilica. Conspicuous here was a statue of St Peter. What intrigued me was what St Peter was holding in his hand. This looked odd… He was using the same hand pointing in a specific direction. He had a key in his hand. Could it be that St Peter was holding the key to unlocking the secret of the obelisks? Was it possible that the statue was pointing to the grand secret? Perhaps the enigma of the Vatican itself was about to make sense! I took a few pictures of the statue. The only way to make sense of this mystery would be to go back to the hotel and look at all the photos I had downloaded. 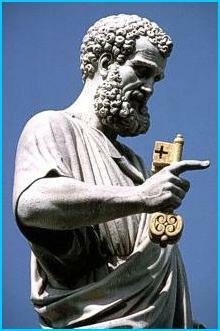 An earlier photo of another statue of St Peter was crowned with the sacred cross. I could not help thinking how different this was to the sacred cross associated with Christ. Maybe this sacred cross was not a halo, but a metal plate. It might also be like a 'star god' crown depicted in ancient Egypt. The Romans would also refer to such a plate as a "grail". Had I inadvertently stumbled across the legendary Holy Grail? I had done some earlier research on Emperor Constantine and the story of the sacred cross he purportedly saw in the sky. This was again corroborated in the gospel of Matthew. I concluded that both seemed to speak of a celestial cross in the sky that closely resembled the star constellation of Orion. Ref - click here. The sacred cross was something I had also spotted during a visit to Westminster Cathedral. The image may seem insignificant but in the context of star themes associated with it, it comes into its own. The cathedral has seven stars along the arched gables. In a side room with small domed roof there are seven bright stars amongst many stars. The idea of Christ being associated with stars was not new to me. I was well aware of the Revelations text claiming he will return holding seven stars in his right hand. There are also artefacts on the coins page of this website showing the crucifix with seven stars above it and one Christian coin showing seven stars joined together making a fish symbol! I could not hold back the thought that it represented the Pleiades. The picture of St Peter holding a key must be the clue to the first obelisk that I was still missing. Enhancing the picture of the key would reveal some remarkable detail. The serrations of the key would reveal more on the sacred cross. If this key is going to unlock a secret then surely it has a lot to do with the sacred cross (the Labarum) of Constantine, as seen at the top of the page. 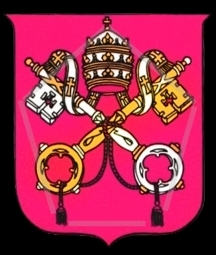 The Pope also wears similar insignia on his apparel. The Vatican coat of arms has two of these keys and the serrated segments also contain the sacred cross. Is it possible the two keys in criss-cross depiction emphasise its celestial importance? The handles of the keys display peculiar circular patterns. What could this suggest and why is there such an obsession with keys? It could also be a coincidence but the coat of arms fits within a sacred pentagonal geometry template found with my human blueprint code. Mouse over the image to see the Vatican Coat of Arms decoded secret. A clearer picture was now beginning to form. If the sacred cross - 'the Christos' sacred cross as it is known - represents the stars of Orion and if the three 'belt' stars in a row are the "P" showing the way as a pointer to the sacred star (that I had a feeling might be the Bethlehem star), then how conceivably does the Vatican layout have anything to do with this reasoning? I was looking for a much bigger sacred cross. Then I realised how my preconceived notion of what I hoped to find had blinded me. The sacred cross was not opposite the Egyptian obelisk, it was where St Peter was pointing. It was inscribed across the entire piazza around the Obelisk! The Obelisk was Orion's Belt in typical ancient Egyptian male anatomy form where it is not quite Orion's belt at all. 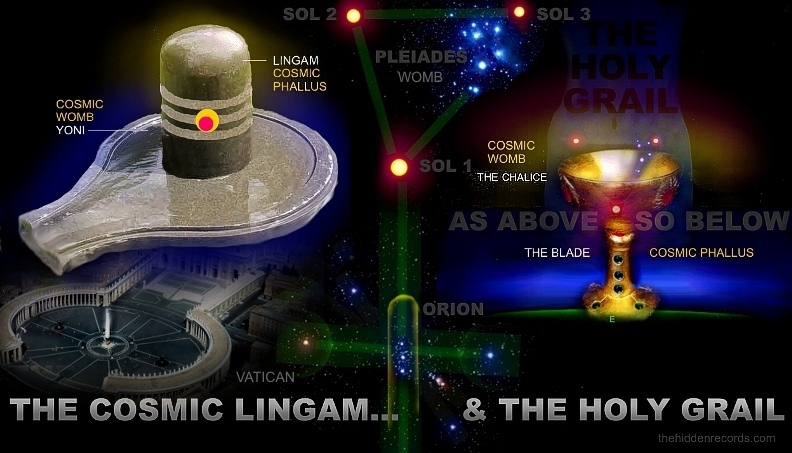 Just like the sacred masculine and sacred feminine union found in the Indian star map for the lingams ref ... just like the Holy Grail secret ref . What lies at the end of the causeway? It is the Castel Sant' Angelo. 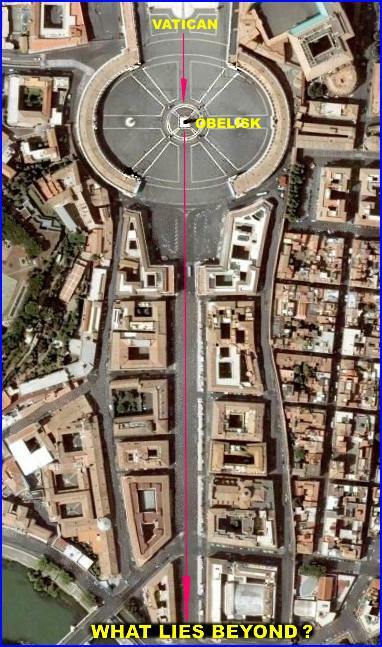 One cannot go into it to see its hidden secret library but I felt certain if I were able to see the entire Vatican City from above then I would crack the code! Again I turned to Google Earth for the answers. Would it be too much to expect the outcome to be as obvious as the pyramid star map patterns I had deciphered from satellite images?